Kingdom Hearts Re:coded Announced for Australia & New Zealand! Kingdom Hearts fans in Australia will be excited to know that the newest installment, Re:Coded, has been officially announced for both Australia and New Zealand for the Nintendo DS. The series second entry looks just as promising and if you have not seen the trailer yet that was displayed at the Tokyo Game Show, check it out here. Along with the announcement came a nice new list of features. First up was that the “Deck Command” system from Birth By Sleep will be in full use in Re:Coded. This feature allows the player to execute over 100 types of different commands such as attack and recover, with a single button. You can also experience a wide variety of different battle systems, including side-scrolling boss battles, 3D shooting and even Command Battles – as seen in the Final Fantasy series. I think this will be great as no matter what type of gamer you are, there will be a bit of everything mixed into the title. The new Stat Matrix will bring the ability to increase and customize Sora’s power and abilities with an exciting new growth system, by placing new chips found in the adventure, into a circuit board. Of course with Disney on board, the experience will be in full color and a much more rewarding and interesting way to level up your stats. Tag mode is also included and let’s the player create their own custom avatar by collecting components from cleared areas. Players can swap floor maps and avatars with friends and other players and create their own dungeon by collecting maps via Tag Mode. The official date for the AU region is set at January 14th, 2011. No official date has been given for the U.S. at the moment but I would expect it to be set very close to that date as well. 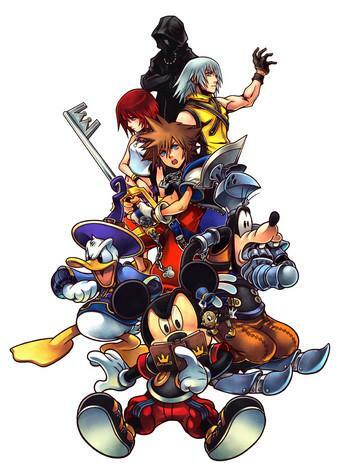 For more information about Kingdom Hearts Re:coded visit the official website at www.kingdomheartsrecoded.com. New Dragon Quest VI Trailer introduces the Colorful cast of Characters….